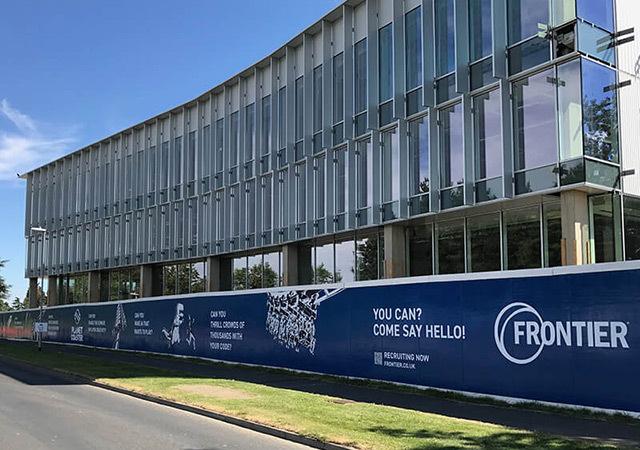 The temporary hoarding graphics were created for the development of Frontier’s new purpose-built headquarters. The boards were showcasing some of their most popular games, along with their upcoming release to be launched in early 2018. The boards were produced using digitally printed self adhesive high grab wall vinyl using customer supplied graphics.